This is really great cartoon.We have to think about this technlogy.Then only we can remove polution. What a wonderful thought.Good creativity. A great idea.We have to think about this. 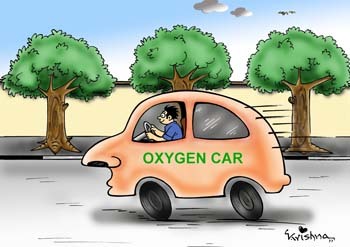 If we will make oxyzen car,then automatically encourage greenary for oxyzen.Its great cartoon.